The walk then recommenced along the official route that follows a road along to the banks of Ennerdale Water. At this point it was time for sunscreen and hats as the weather was excellent. The path then follows the southern side of Ennerdale Water, with a few steep sections where it leaves the banks and climbs higher, before entering a very nice wooded section and eventually reaching the end of Ennerdale Water and joining the vehicular track up to Black Sail Youth Hostel. I decided to take the alternative route which leaves the vehicular track not long after it is joined and climbs very steeply north up to Red Pike. From here it was a magnificent ridge walk along to High Stile and High Crag, with great views in all directions, particularly down into Buttermere, across to Grasmoor on the other side of the lake, south-east towards Haystacks and south to Pillar. After High Crag there is a steep descent to Scarth Gap Pass and then unfortunately a steep ascent to make up most of the lost height before reaching Haystacks and then, shortly thereafter, the beautiful Innominate Tarn. The path then wends its way to join an old tramway that proceeds in a straight line up and then down to Honister Pass and the Slate Mine visitor centre. After a quick break here, we continued down by the side of the Honister Pass road, before eventually leaving the road at Seatoller and continuing along a footpath into Rosthwaite. We arrived at St Bees via train from Carlisle. It’s a rather sleepy little village and there isn’t a huge choice of places to eat – we ended up at ‘Platform 9’ next to the train station. The next morning after a big breakfast at our accommodation at Stonehouse Farm we started towards the beach via the old church, which is well worth a visit. The walk ‘officially’ starts under the sea wall at the beach. We began with the two traditional coast to coast rites – walking out to the Irish Sea to dip our boots in (a long way as tide was out..!) and collecting a pebble to carry to Robin Hoods Bay and drop on the sea shore there. After the obligatory photo at the Coast to Coast start sign we started the walk proper. The initial path is a nice walk around the coastline before turning inland to Cleator. We stopped for lunch at the Three Tuns in Cleator, the first pub we came across – following the track by the cricket fields leads straight to the front door. A sign outside welcomed c2c ‘ers and pets (but no sheep, cows or pigs!) and inside we received a friendly welcome from Rena at the bar. They didn’t serve food but Rena was happy for us to buy sandwiches from a shop up the road and eat at the pub with our beers. Immediately after lunch the first major hill, Dent, is reached. 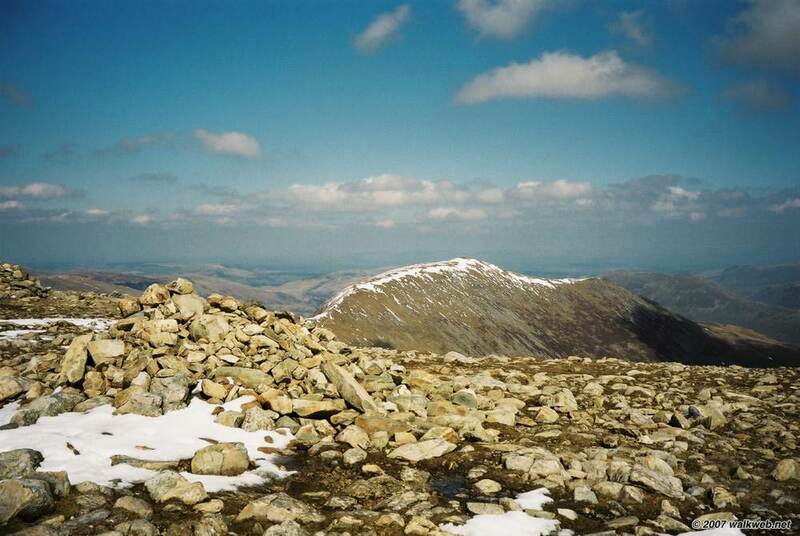 There were great 360 degree views from the summit – to the west the coast and Isle of Man and to the east the fells of the lakes beckoned. After a steep descent through the Uldale plantation there was an attractive path through Nannycatch Beck before the final stretch along a lovely county lane into Ennerdale Bridge. We arrived slightly weary at the Shepherd’s Arms Hotel but soon felt better after a beer and a good meal. I recently completed this tremendous long distance path. 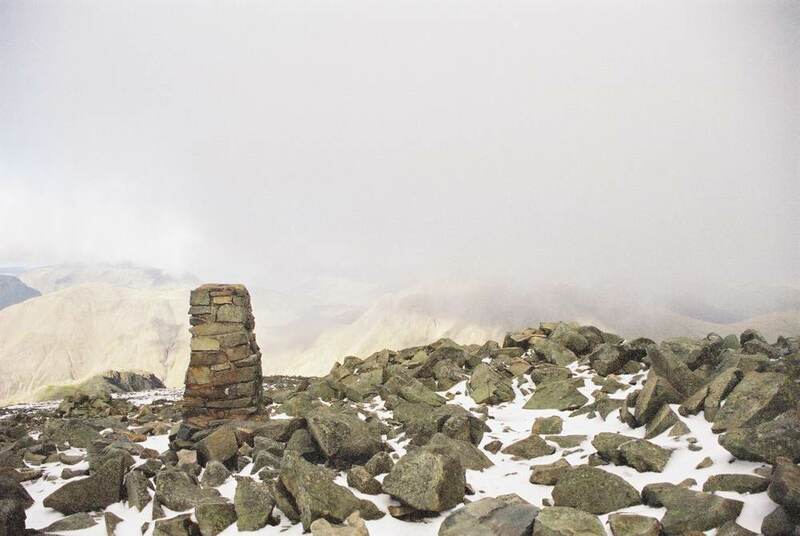 Devised by Alfred Wainwright in the early 1970s, it traverses some beautiful parts of northern England. Traditionally completed from west to east, it stretches for around 190 miles from St Bees to Robin Hood’s Bay and takes in the Lake District, Yorkshire Dales and North Yorkshire National Parks. 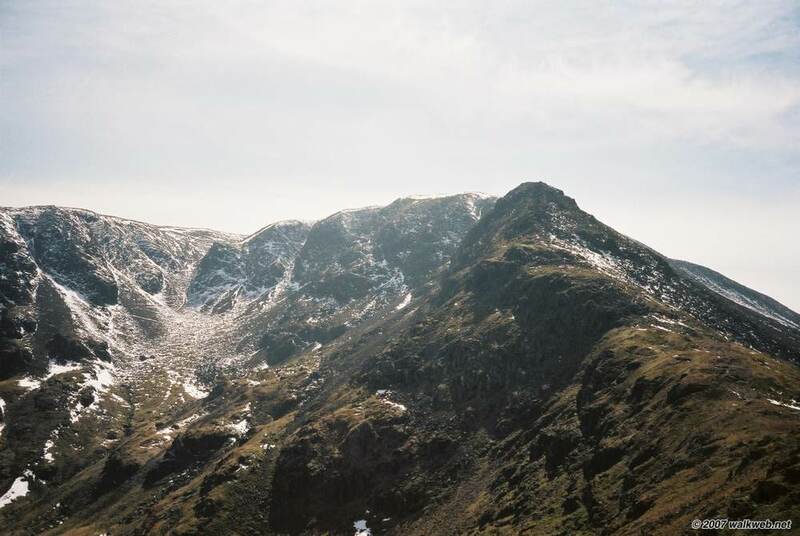 Wainwright described it as ‘A’ Coast to Coast walk, rather than ‘The’ as he wanted to encourage other walkers to devise their own cross country routes. Nonetheless, the trail today follows Wainwright’s original pretty closely, and walking it you can see why – he created a very attractive route. For what such things are worth, it was voted second best long distance walk in a survey carried out by Country Walking magazine. We started on a Friday, so I’m going to start posting a trip report from tomorrow. Been too busy to do any walking, so another walk from the ‘archives’. 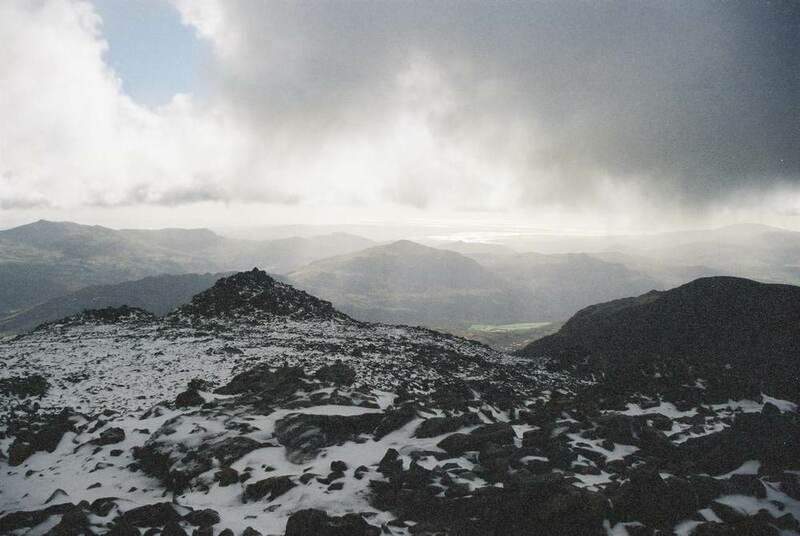 My first proper walk in the Lake District was an ascent of Scafell Pike, back in November 1998. There are numerous routes, following are a couple that I have done. 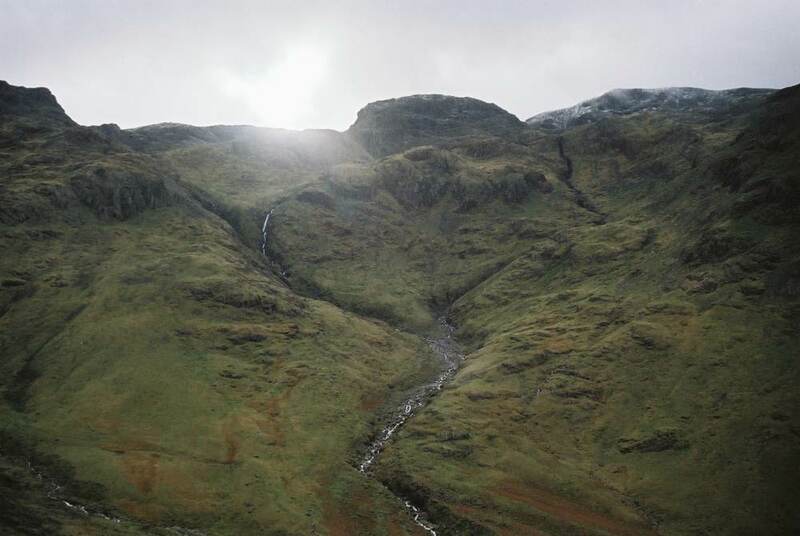 From Wasdale Head – the most direct way to get there, but this means it’s relentlessly uphill pretty much from the start. We followed the bridleway that heads almost due east from Wasdale Head, past Bursting Knott and Toad How to Sty Head, after which we turned south and followed the “corridor route” to the summit. For the descent we followed the path that goes west via Brown Tongue (Wainwright refers to this as the “tourist route” up Scafell Pike – it is the most direct but possibly the least interesting) and then turns north to return to Wasdale Head. 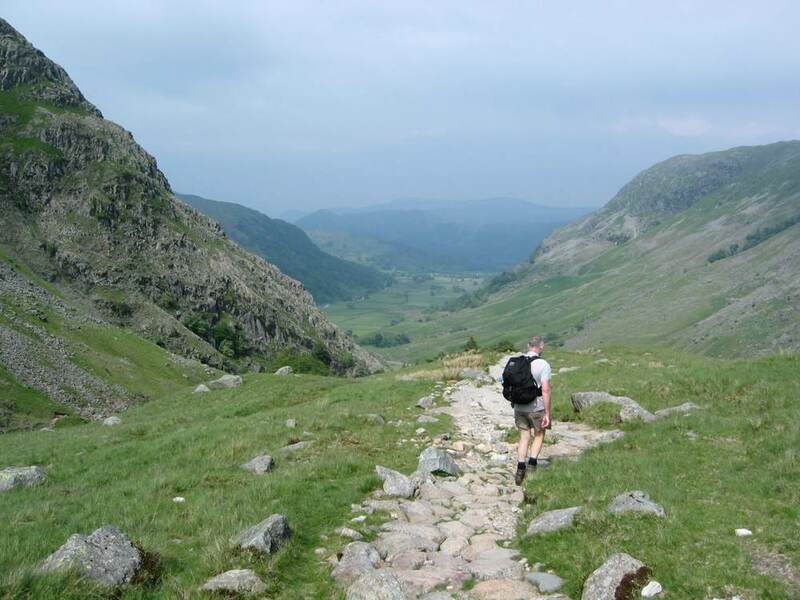 From Borrowdale – a rather longer route, but an interesting variation. 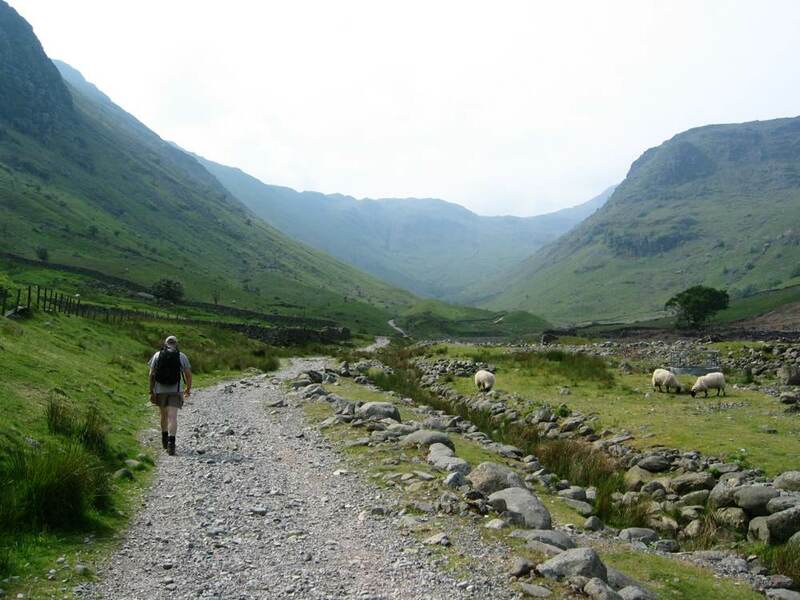 We commenced at Seathwaite, and took the bridleway south to Stockley Bridge. From here we followed the footpath that ascends steeply by the side of Grains Gill. This path joins another footpath just south of Sprinkling Tarn and below the northern face of Great End. We followed this path south-west to a junction and then followed the footpath that travels south and then south-west via Esk Hause and Ill Crag, before a short but steep climb to the summit. We descended initially the same way but then headed north to join the corridor route back to Sty Head, and then descended via the bridleway that passes Styhead Tarn, eventually returning to Stockley Bridge and then back to Seathwaite. Commencing at Patterdale, I walked southwards along the A592 until I reached a permitted footpath to the west of the road, following this path until it reached the lovely Brothers Water. 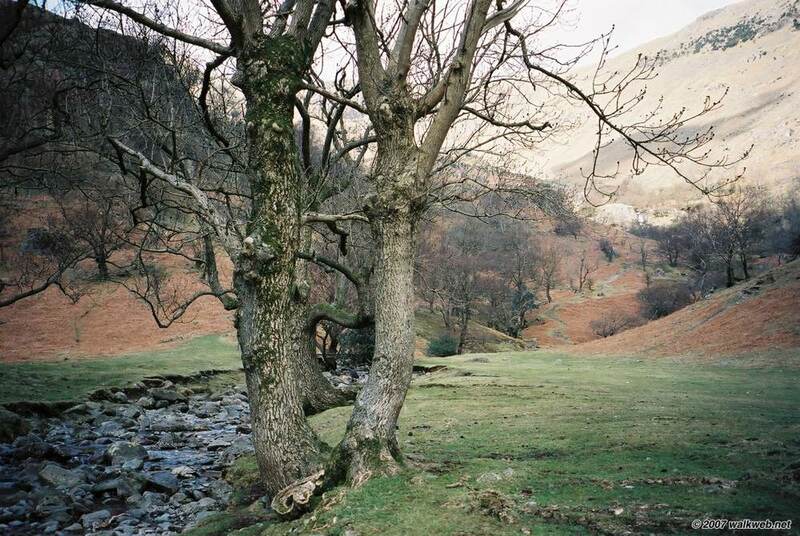 The track becomes a public footpath here, skirting the western shore of Brothers Water and continuing southwards before curling to the south-west and crossing Dovedale Beck, thence continuing westish to pass Dove Crag and thereafter to join a footpath traversing the ridge. From here the walk continues north-west over Hart Crag and then turns west briefly before attaining the summit of Fairfield, from which there are great views in all directions. After a lunch stop I continued on north and then north east along the ridge line that traverses St Sunday Crag and then drops down into Patterdale. The first section is very steep and a little tricky in places, before levelling out somewhat. 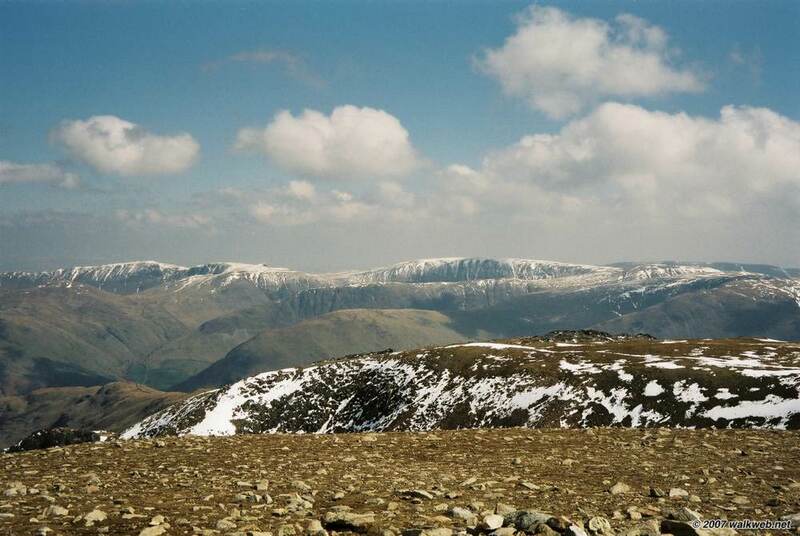 As Wainwright points out, the view of Fairfield from this direction is very different from the southern and western approaches, looking most impressive with its series of rocky buttresses. 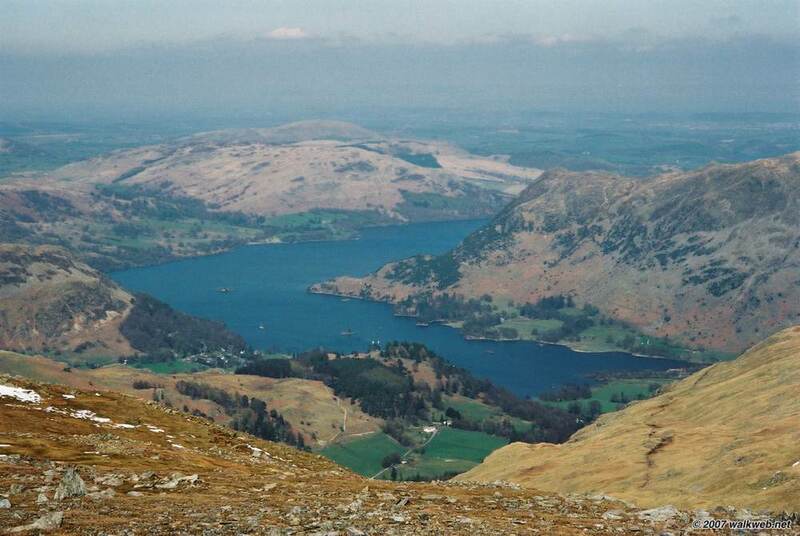 The views down to Ullswater are also fantastic. All in all, a great day’s outing – but a fairly demanding walk that took me over 6 hours. UPDATE: I did this walk again in 2012; this time I had a car and so parked at the National Trust car park at Cow Bridge. I’ve indicated this as the start position on the map of starting locations.